Tami Bahat is an award-winning fine art photographer whose passion lies in molding the obvious into the extraordinary. 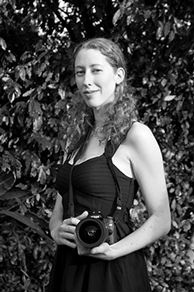 As a Verge Photographer, Tami is one of an elite group of emerging Los Angeles photographers sponsored by the Duncan Miller Projects. Tami’s photography has been featured on the cover of Nikon Owner Magazine, along with numerous other print and online publications, as well as in gallery exhibitions across America. In addition to her calling as an artist, Tami also follows her humanitarian calling, working with many charities and non-profit organizations.